Earn 279 points upon purchasing this product. Use 2793 points to purchase this product! Lymphedema (also spelled lymphoedema), is a swelling of the subcutaneous tissues by accumulation of lymph fluid . The disorder has become a common medical concern as the result of modern treatments for breast cancer: mainly surgery, but also radiation therapy. In many cases of breast cancer, it is standard practice to remove tissues beyond the main tumor mass. In addition to taking some surrounding breast tissue (or all, in the case of mastectomy), several or all of the adjacent lymph nodes in the arm pit are excised. Lymph node removal is undertaken mainly as a means of excising more of the cancer cells when the nodes have been invaded or are suspected to be involved. 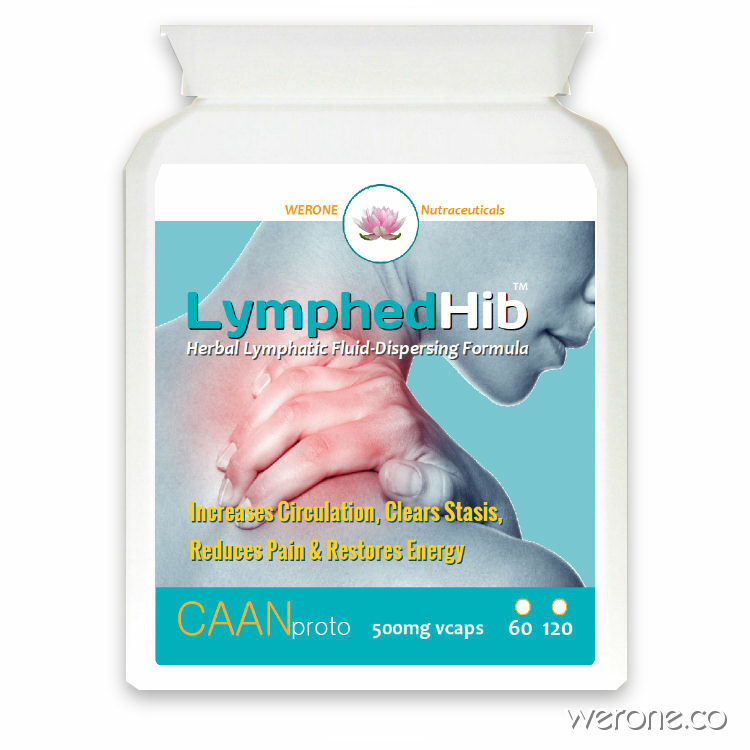 Lymphedhib™ draws upon Chinese Traditional Medicine for a potent combination of safe herbals which help circulation, reduce pain in areas which are flooding due to removed lymph nodes improving drainage and and aids with the dispersion of the lymph fluids. The Chinese term for phlegm-damp is tanyin; tan refers to thickened fluids, while yin refers to thin fluids. Both the thick and thin fluids of the tanyin syndrome are pathological: they represent an abnormal accumulation of fluids. The confluence of the two terms occurs when describing a large volume of somewhat thick fluid and is distinguished from a simple phlegm disorder, which has a lower volume of accumulated material. 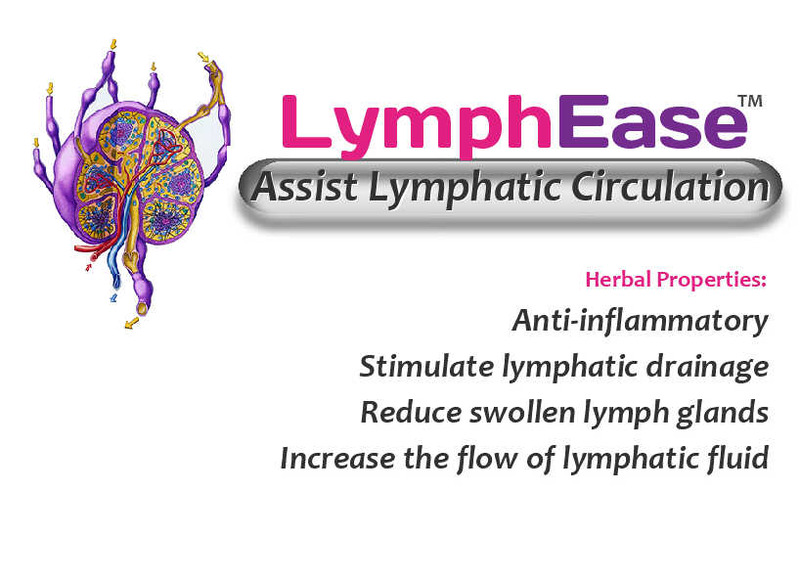 In seeking a Chinese herbal therapy for lymphedema of the arms, one looks to both the general treatment of phlegm-damp accumulation and to any historical references to disorders of the arms that correspond most closely to lymphedema. In addition, treatments aimed at the more common problems of lymph node swelling (lymphadenitis), numbness and aching in the arms (corresponding to dampness accumulation), and at swellings, lumps, and pains in the breasts (corresponding to the breast involvement in modern cases) would be potentially useful as reference points for treatment of lymphedema secondary to breast tumors. Not for Children or Nursing Mothers. May lower blood pressure. Build up slowly to the higher dosage. This formula can be used to support health with or without symptoms. If symptoms are present, take (3 capsules) three times daily. When symptoms are not present, (2 capsules), two times daily. Empty stomach is best for efficient absorption, but not essential Please read this article on additional things to do to help move lymphatic fluid and increase circulation. Caution is suggested for those taking immunosuppresant medication.